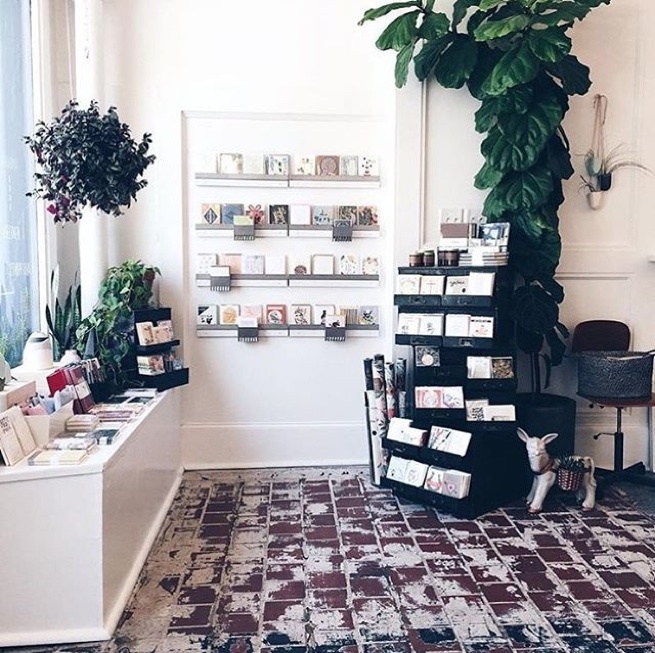 It’s been a bit since we have featured a Shop We Love on our blog, but today we are doing just that! 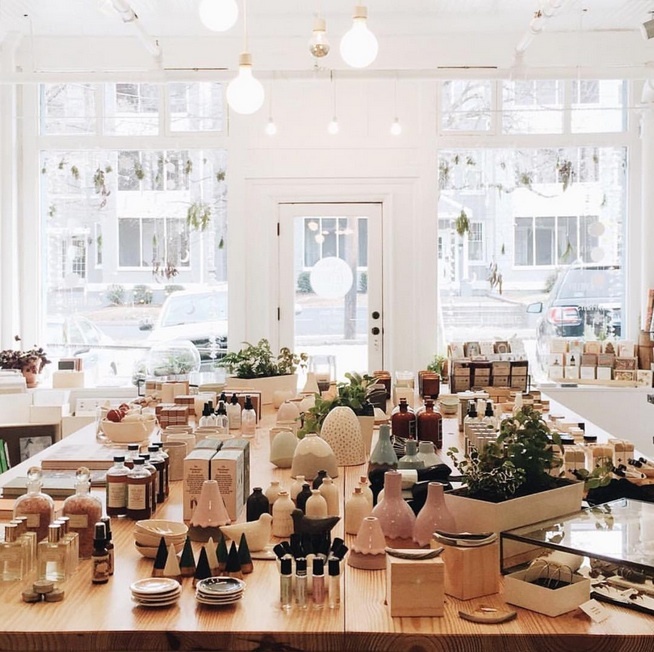 Say hello to Young Blood Boutique. You know those spaces that are so inspired that you find it feels like a breath of fresh air? Young Blood is one of those spaces. 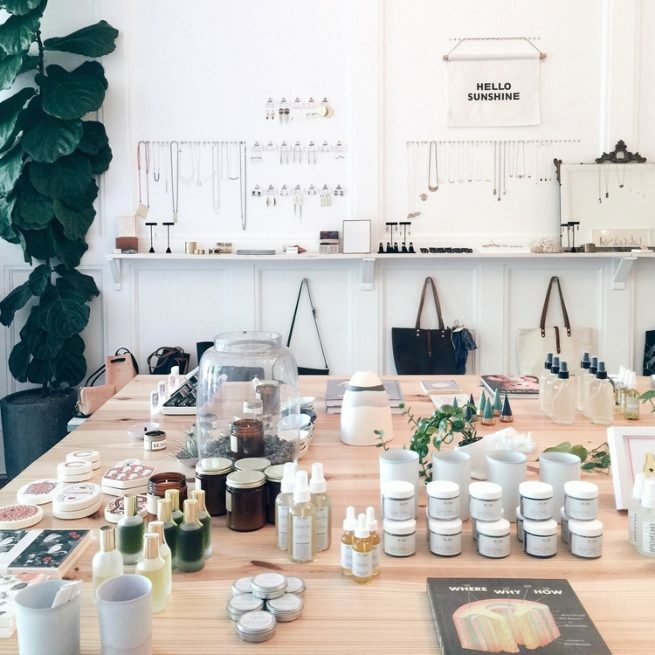 Gorgeous, white, and filled with hand-crafted art and design pieces, Young Blood is a unique artist-run retail shop in Atlanta, Georgia. Their photos make us want to grab one of everything–and that Fiddle Leaf Fig! 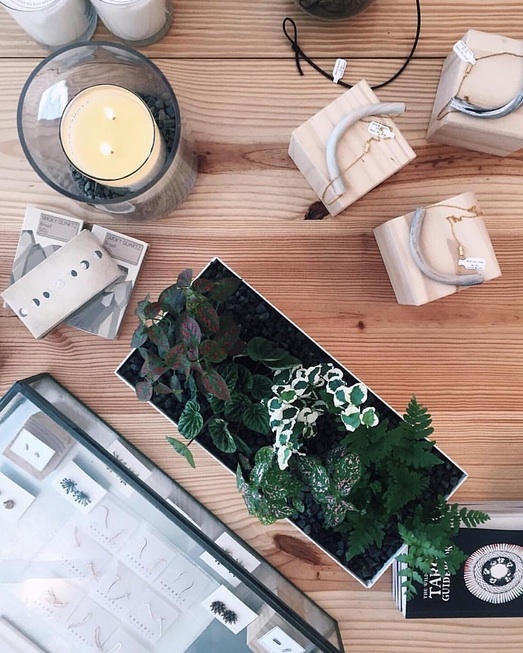 Make sure to follow them on Instagram for a daily dose of their beautiful style. 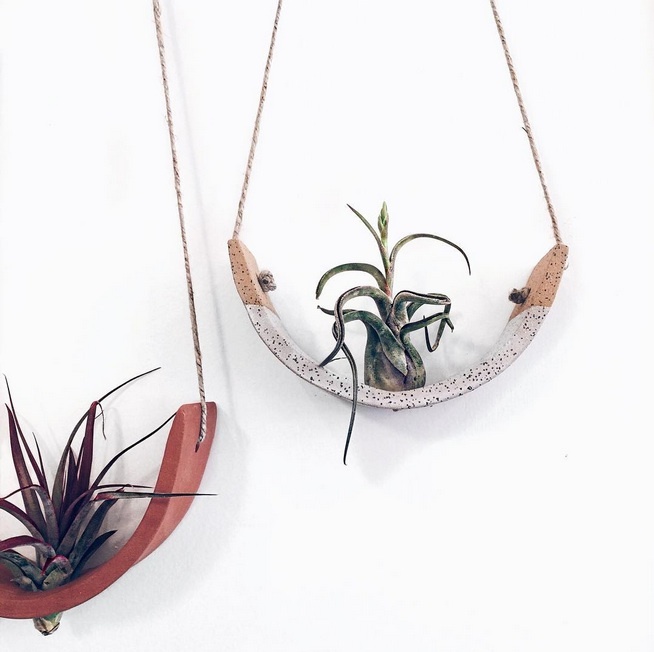 Visit Young Blood Boutique’s online shop for jewelry pieces, but if you’re looking to see their entire product line, you’ll have to visit their shop in person. 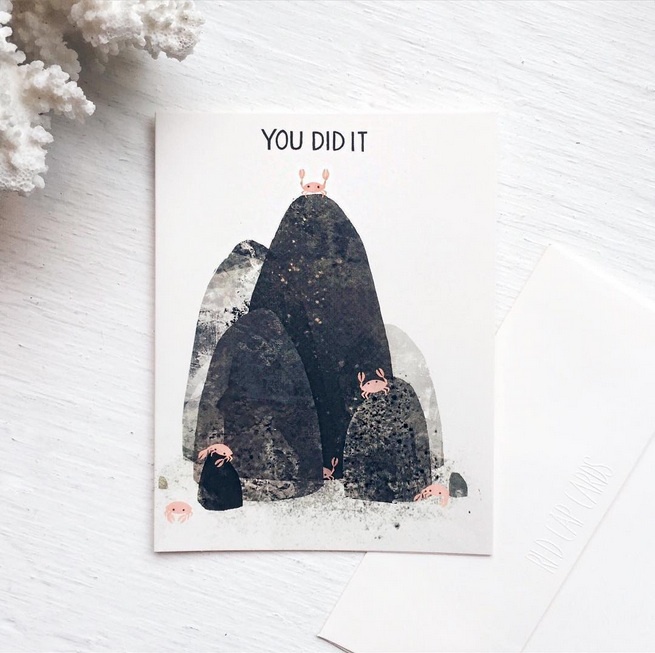 See below for some eye-candy shots of the shop, their social media information, and some lovely photos of their collection of Red Cap Cards (we love that styled photo of Jon Klassen’s crab congrats card!). Thank you so much, Young Blood, for being amazing!